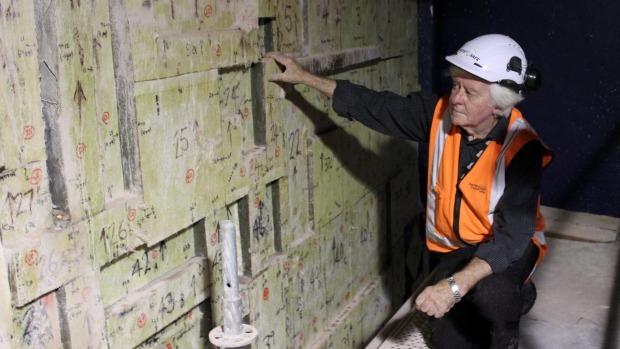 A team effort by Auckland Council heritage staff and Steve Bielby, representing one of the owners of the St James Theatre development, is achieving a positive outcome for a mid-century art work. As a result of apartment development in Queen St, involving the demolition of the old Odeon and Regent theatres, the mosaic wall, designed by expatriate architect Maurice K. Smith, is carefully being removed and stored for future use. Click here for more details and video of the tricky removal process. This is a positive gain for heritage in Auckland. It has been suggested that the mosaic could be used in one of the City Rail Link underground stations.